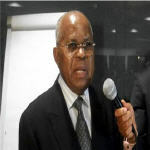 Etienne Tshisekedi said on Saturday that the UDPS has never been for a joint candidacy of the opposition to win elections. 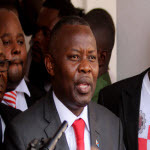 “The elections are being held for the Congolese people, who are sovereign. They all want change. 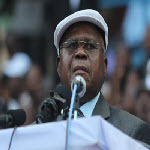 They know what they need to do, even if they were in front of 1000 candidates,” Mr. Tshisekedi said. 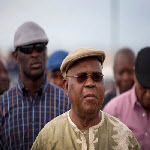 During an interview with the French service of the Voice of America on Thursday, Etienne Tshisekedi denied telling his supporters to use violence last week. 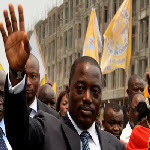 The presidential candidate repeated his claim that he is the current president of the Democratic Republic of Congo. 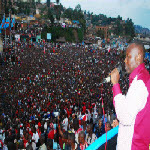 The two leading candidates in the upcoming presidential election crossed paths in eastern Congo on Monday. Both President Joseph Kabila and Etienne Tshisekedi arrived in Goma, North Kivu Province, on the same day to hold campaign events. Etienne Tshisekedi's calls to violence, made three weeks before presidential and parliamentary elections set to take place on Nov. 28, have surprised many Congolese who have admired him for his non-violent fight for democracy for nearly three decades. 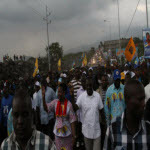 They have also brought back memories of sometimes unpredictable behavior by the veteran opposition leader. "The use of violence will not be tolerated. 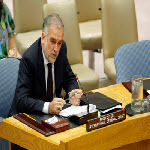 My Office is gathering and carefully reviewing converging reports of both verbal and physical violence arising out of the electoral campaign for the presidential and parliamentary elections on 28 November," said International Criminal Court Prosecurtor Luis Moreno-Ocampo. 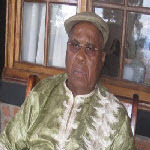 Government spokesman Lambert Mende called into question the mental health of veteran opposition leader Etienne Tshisekedi on Monday, a day after the main challenger to President Joseph Kabila in the November 28 presidential election made incoherent and incendiary statements during an interview. 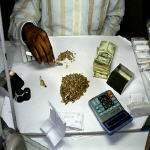 About 82 tonnes of smuggled minerals seized by Rwandan police has been handed back to the Democratic Republic of Congo in a sign of improved relations between the two neighbours. The minerals include cassiterite, or tin ore, as well as coltan, used in devices such as mobile phones.